I had such a blast with my family on Thanksgiving. For some reason I was more thankful this year than any other year I can remember. Perhaps it's the fact that I am grateful for my children and their health or my parents still being here after some health scares, but I just felt so so grateful this Thanksgiving. There was AMAZING food followed by awesome family conversation and laughs. I looked around and couldn't help but thank God for all the blessing he had given us. Josiah's clubfoot diagnosis really opened my eyes to so much, starting with being grateful that he's actually here. Josiah could have had something more severe, something incurable, but he doesn't he is healthy and thriving. In fact I am proud to say he started sitting on Sunday!!! (Cue the clapping!) I am oh so proud of him and all his accomplishments. His endurance and resilience truly amazes me daily and I can't help but be grateful that I am his mother. So, yes, Thanksgiving was a hit and reminds me why it really is my favorite holiday. Thanksgiving is about appreciation, love and genuine feeling. It's a holiday where you don't have to buy gifts like at Christmas, birthdays or Easter, you just have to show up and share a meal with loved ones. You look around the table and appreciate the love that has brought you all there. You make memories and traditions. Need I say more. I had a great Thanksgiving. The weekend following Thanksgiving is always a crazy one around here. We put up the tree and decorate the house, watch Christmas movies and listen to Christmas music. The kids love helping with everything and I go mad trying to keep them from breaking everything. This weekend Luis had to work so we are doing everything today, however I did save myself some time and cleaned all weekend! I'm so excited and can't wait to start. I wanted to let you know about some of my favorite sales this cyber Monday so be sure to check them out! Good luck finding that special gift for your friends and loved ones. Have a wonderful week! This year has been such a rewarding year for my family and I am so grateful to be alive and healthy. I love being a mother to my 3 wonderful boys and a wife to the best husband I could ever ask for. I am truly blessed by God and I am thankful everyday. We just got back from a wonderful family vacation celebrating Eli turning 3! They loved it, infact I'm sure we will be going back to Knotts Berry Farm very soon. I cherish each and every memory made with all these handsome men! Today I am also thankful for my avid readers. Thank you for your continued patronage to my page! As I get ready for a cooking and eating spree I will enjoy every minute with my family and friends. I will thank God with every bite and every breathe for my many many blessings! Have a wonderful Thanksgiving Day and please remember to give God a thank you, for he is the reason we celebrate a wonderful day like today! 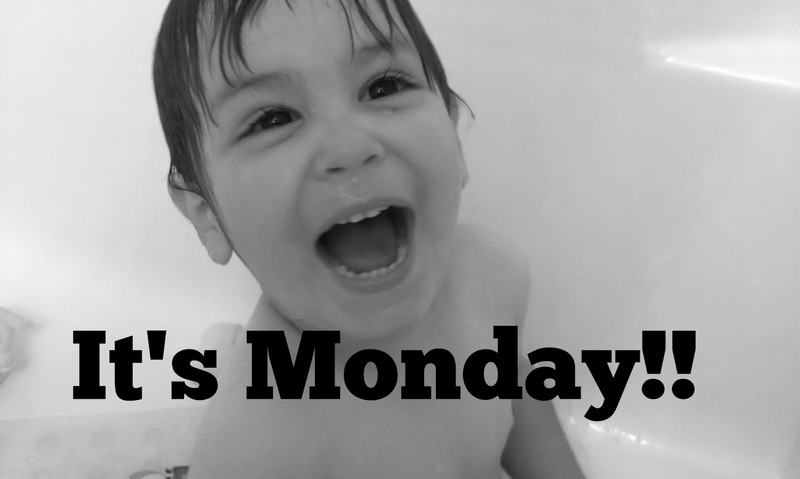 Most people dread Mondays, but for me Mondays are the best day of the week! Monday is Luis' first day off so I get my partner in parenting back for 3 days! Also Mondays make me feel like I can take on the world for some reason. Maybe since it's the beginning of the week and every week calls for new opportunities. I had a very relaxing yet busy weekend. I cleaned the house and spent quality time with my babies. I would finish cleaning something then head to the couch to relax and get mosh piled by my crazy kiddos. While I was cleaning the kids were watching "Mars Needs Moms" on cable tv. Well I have never seen it, but apparently aliens take a little boy's mom and she almost dies. Abram came into the kitchen and burst into tears saying he didn't want that to happen to me! I hugged him really tight and told him it was just a movie and that would never happen to me. I was so touched and happy to know my baby really loves his mama. We were so emotional that night that we did a little sleepover in the living room which was pretty nice because it was so cold and I got to snuggle my 2 little monkeys to keep warm. Mommy moments are the best! Abram has minimum day all week so he will be getting off by noon, which is cool because he get's more time with Luis. Tomorrow we have parent teacher conference for him and I'm looking forward to finding out how he's doing in class. Last week we were pretty proud of him for learning all the first grade sight words and the beginning of the year isn't even over yet! He is a very good reader so the teacher said she was going to make a list of the second grade words for him now! He was stoked he was the only kid in class who had learned them all. Of course he wanted a prize, so we gave him gummy worms! Haha. Candy makes him happy! Wednesday is Veteran's Day so make sure you take a look at my Veteran's Day Perks! I can't wait to take advantage of the Knott's Berry Farm perk next week. I love theme parks so I'm looking forward to our special day! I hope you have a wonderful week!! If you have not tried this before under your eyeshadow, you really should! It literally helps eyeshadow stay in place all day long, no smudging. The best I have ever tried and right now they are revamping the tube so the old look is on sale for only $10!!!! Aaaaand it's even 1oz bigger than the new tube. Trust me you need this if you are a makeup junkie. Gracefully is the sweetest Children's book I have read recently. A fellow Clubfoot mom wrote it about her daughter's clubfoot journey. Despite it being a clubfoot journey book, I believe any parent would love it for their child. It is a book about hope and inspiration in overcoming any obstacle in a child's way. A must read for all families! I am so excited that it's finally gotten cold around here! I live in sweaters this time of year. My favorites at the time are long cardigans. I have been using some of my oldies and my sister's hardly used hand me downs, but these are some on my wish list. Click the pictures of each to check the prices. Very affordable. After having the kids I became a lot more motivated. I have so much more to live for now. I used to say, "I'll do this or that, when I can." and was always waiting and waiting for the right time in my life. Well waiting and waiting is pointless. My mom used to always say, " Why save for tomorrow what you can do today?" As a kid I never understood exactly the depth of what that quote meant, but now I see it clearly. Don't waste time waiting to make your dreams come true. 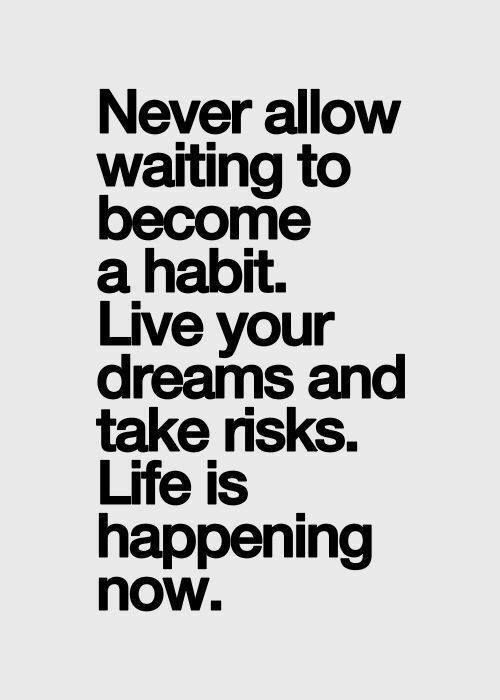 Grab life by the horns and do it! Stop making excuses for yourself. You don't want to end up with a list of regrets tomorrow of what you should have done. If you are a Veteran I would like to say thank you for serving our country. Luis is a veteran and honestly I feel that veterans don't get enough credit in this country. They should be able to have access to better jobs and more of a bonus when they leave the service, but that's just my personal opinion. I wanted to share some perks that Veterans do get around the US, on and around this special day. This is probably the best perk out there and I am very impressed and touched that Knotts would keep this going for as long as it has. We are planning on taking advantage to this awesome perk this month and are looking forward to the experience with boys. I am so excited and can not wait! For other travel perks check out this list of locations. There are some chain restaurants that give vets a free meal on Veterans Day! More details here and here. Also don't forget to bring along your ID to receive the perks! Home Depot and Lowes offer a 10% discount on November 11. More retail perks. Check your local area and surrounding cities for other Veterans Day perks! Do you plans or traditions on Veteran's Day? Do you know about special perks? Share in the comments below! In case you didn't know, November is my favorite month. When November hits I am in pure bliss! The weather changes, I can wear my uggs and sweaters again, I look forward to turkey and on the 22nd is Eli's birthday! He is turning 3 this year, although he looks nearly 5 and acts like he's 10! November has always been my favorite month of the year and Thanksgiving is my favorite holiday, simply because family and friends come together and you are reminded how blessed you are for the little things- and I really really love my mom's stuffing! The year Eli was born, almost everyone predicted he would be born on Thanksgiving just for the simple fact that I didn't want him to be born on that day. I wanted to enjoy my dinner and family time. Well Eli came on Thanksgiving day and I missed all of thanksgiving dinner that year! I was pretty upset to say the least! Although I was pretty upset, he was the best gift I could have ever gotten that year. Eli made me feel so grateful for my family and being a mother, he brought our home hope, happiness and much needed peace. Abram was so happy he had a little brother and never showed signs of jealousy at all. Luis had the whole season of paternity leave and didn't go back to work until January, so it was nearly 2 months of family baby bliss. This year will be similar since its Josiah's first holiday season. So now you know, I am obsessed with November and this time of year. I thank God everyday for my boys and couldn't be more happier for all my blessings. I challenge you this month to stay grateful all month long. Every day look around you and see the beauties of this season, spend time with family and friends, cook new recipes, bundle up and watch a favorite holiday flick! Take every chance you get to be grateful and love life! May your November be memorable and very blessed! What are you grateful for this month? Is there something you do to make this season special? Share in the comments below!